If you are a diehard explorer or fitness geek, you have probably heard of a GPX file. These files make it easy to exchange GPS data between apps, websites, and mapping software. 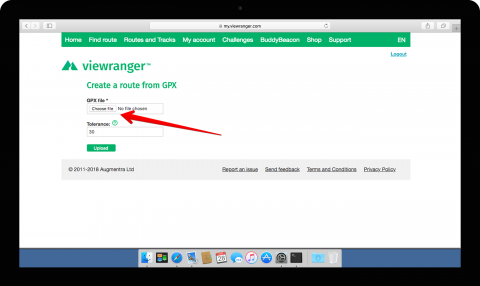 In this article, learn how to import a GPX file into ViewRanger and enjoy more adventures. GPX is an abbreviation for GPS eXchange. Sounds boring, right? But this universal file format allows explorers like you to easily trade GPS files without needing a master’s degree in code and cartography. These files can include track, route, point information, and much more. So if your bestie sends you a GPX file of her favorite bike ride or if you download a GPS-enabled hiking route from a website, you likely can import them into the ViewRanger. Then, within a few minutes, you can view this shared GPS data on detailed maps in ViewRanger. And, of course, be exploring an exciting new trail or park. The easiest way of import files in ViewRanger is with a desktop computer. 1. Login to your personal ViewRanger account at my.viewranger.com. If you don't have an account, create a new one. 2. 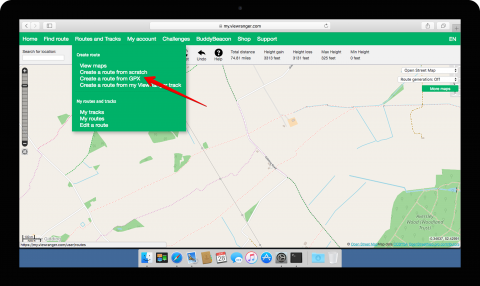 Find “Routes & Tracks” in the top menu bar and choose “Create a Route from GPX” in the dropdown list. 3. Click Upload the File. Find the file on your computer and upload it into ViewRanger. 4. After the route map appears in your web browser, click the Save button above the map. To see the GPS file in the ViewRanger app, launch the app. 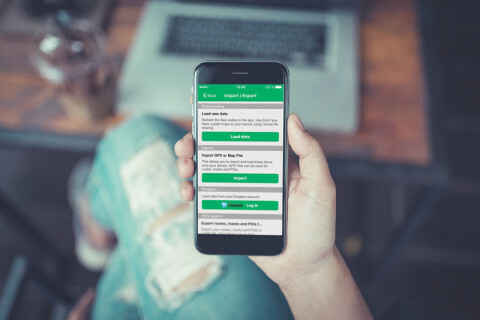 Tap the Menu tab and select “Sync content.” Once the synchronization is completed, you can see the route listed under your Profile. You can also import GPX files directly in the ViewRanger app. Email the GPX file to your smartphone. Open email and select the file, tap the open/send file option, and pick ViewRanger. If that’s not an option in your email client, copy the file to iCloud, Dropbox, Google Drive or similar cloud service. After that, go to the ViewRanger app. Tap the Menu tab then select “Import/Export.” On iOS select “Import GPX or Map file” or on Android select “Import externally”, then pick the file to import. The imported GPX file will be listed under Your Profile page in the app. Any POIs imported will be listed under Menu > Points of Interest. There are dozens of proprietary GPS file types. If you find a GPS file that’s not GPX, you can use a GPS file converter like GPSBabel or GPSU. But use the free programs at your own risk and always double-check what the GPS data looks like on ViewRanger maps before leaving on your next adventure. Lastly, lots of companies add their own GPX file extensions so some proprietary data (like fitness data, file names, or elevation data) may not transfer from one program to another. Questions about GPX files? Post them below. 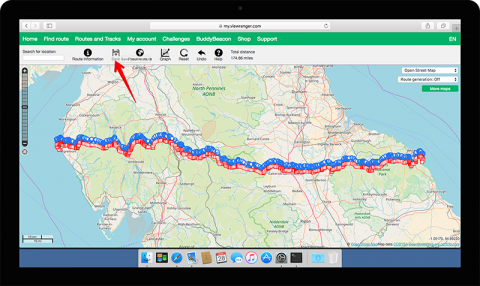 We hope you enjoy this flexibility to bring your own trail and route data into ViewRanger. #LetsExplore more together.